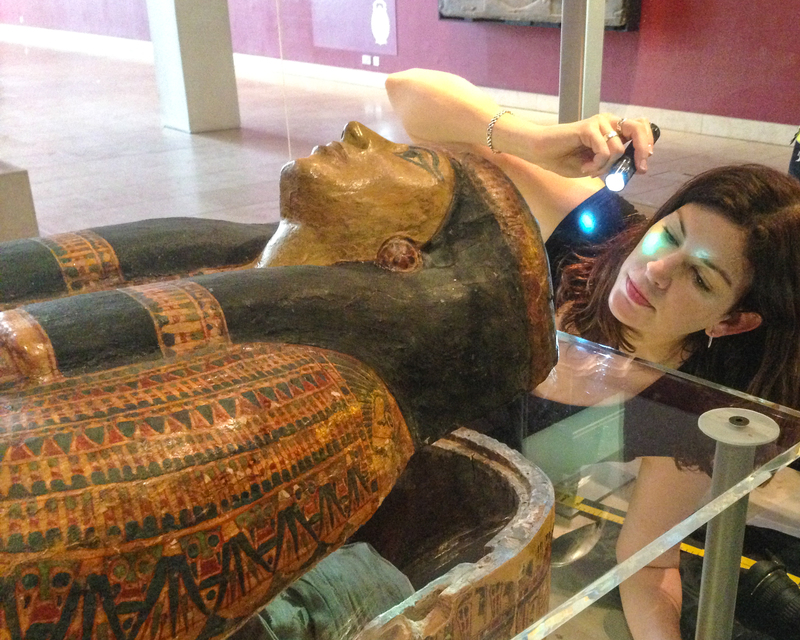 Egyptologist Dr. Kathlyn (Kara) Cooney, at first glance, seems like the female Indiana Jones. She studies a civilization so ancient it’s steeped in myth, travels the world, and speaks in forums at distinguished universities. But her work isn’t all about studying stories inscribed in coffins or translating hieroglyphics. In her National Geographic Live presentation “When Women Ruled the World,” sponsored by the Weis Center, Cooney asks a critical question: What can we learn from the women who once ruled Egypt as kings? Dr. Cooney is a professor of Egyptian Art and Architecture at UCLA. Specializing in craft production, coffin studies, and economies in the ancient world, Cooney received her PhD in Egyptology from Johns Hopkins University. Her current project examines the lives and politics of ancient Egyptian women who ruled not as the exception, but as kings with undeniable power and influence. Her previous publication The Woman Who Would Be King: Hatshepsut’s Rise to Power, Cooney’s first trade book which highlights the history of Egypt’s least well-known female king. In her lecture at the Weis Center on August 30th at 7:30 pm, Cooney dove into feminism from an evolutionary and biological standpoint; revealing the roots of patriarchal fear of women in power. But when it comes to women in power, we’ve come a long way…right? Cooney says, although the situation has improved, we’re nowhere close to gender equality. The cultural paranoia of female rulers is still alive and well today, Cooney citing the 2016 American Election and rise of male rights movements in retaliation to feminism. Cooney theorizes our mistrust in female rulers is based on the co-evolutionary relationship between autocratic powers and female rulers (used as pawns for dynasties). It was, and still is today, almost taboo that a women desire power for herself— it’s far more acceptable if she takes power in the name of her family or a male relative. Cooney’s upcoming book When Women Ruled the World will be published in 2018 by the National Geographic Press. It explores the reigns of six ancient Egyptian woman kings as prime example of women who, in one way or another, managed to hold to power in one of the greatest civilizations the world has ever known. The next performance of the Weis Center 2018-2019 season is a night of world music with Irish musicians David Power and Willie Kelly on Thursday, Sept. 6th at 7:30 p.m., Weis Center Atrium FREE! Tickets not required.